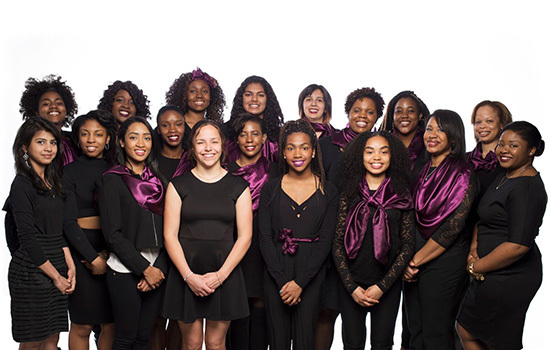 Determined Individuals Victoriously Achieving Success, or DIVAS, began as an RIT group in 2011. They provide a variety of social, educational and service activities to foster a support network for incoming multicultural women at RIT to help increase the retention of students through mentorship, personal development and successful academic programs. Fitness guru Camela Douglass and Prince Diaby, founder and choreographer of Generation X Dance Group, headline Dancing with DIVAS Thursday at Rochester Institute of Technology. The event, from 5:30 to 8 p.m. Thursday at the Gordon Field House, is hosted by Determined Individuals Victoriously Achieving Success and is intended for people ages 12 and up in all levels of fitness. Douglass will take the stage from 5:30 to 6:45 p.m., and Prince will be on from 7 to 8 p.m. Disc jockey Jo-El will provide the music. Tickets are $6 for students, $11 for faculty, staff and community members. For more information, visit the “Dancing with DIVAS” Facebook page. DIVAS began as an RIT group in 2011. They provide a variety of social, educational and service activities to foster a support network for incoming multicultural women at RIT to help increase the retention of students through mentorship, personal development and successful academic programs.